A panel of former city politicians speaks to the inaugural class of ATXelerator about how to run a campaign. It’s 5 p.m. on a Friday at Native, a new bar and hostel in East Austin. Half a dozen people occupy the blue velvet booths and alternative dance music blares overhead. Leigh Salinas walks in carrying a duffel bag. She’s there to spend the weekend studying – sort of. Leigh Salinas is one of 25 candidates chosen by ATXelerator for training on how to run for local office. The group spent a weekend retreat at the Native hostel. Salinas is one of 25 participants in the inaugural ATXelerator, run by the nonprofit The Center for Austin’s Future. 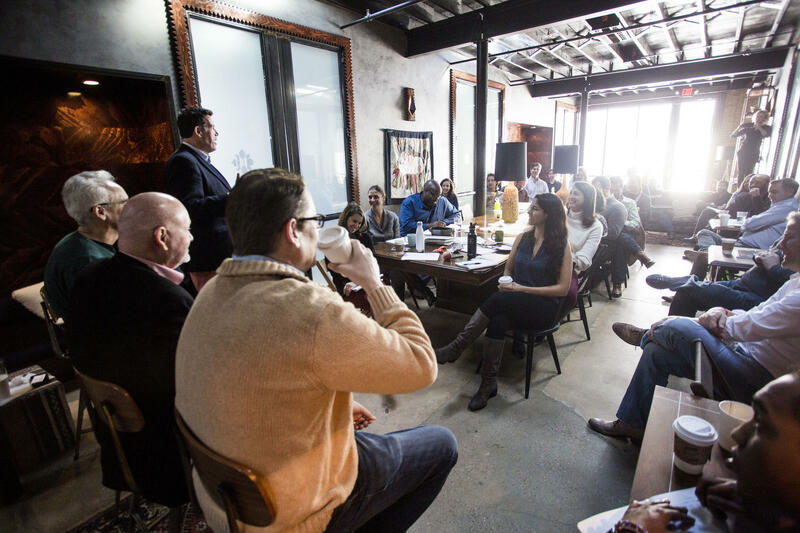 The idea is to train and educate potential candidates for local office – specifically Austin City Council or various city boards and commissions. The program begins with a weekend retreat where participants sleep, eat and learn together at a hostel. 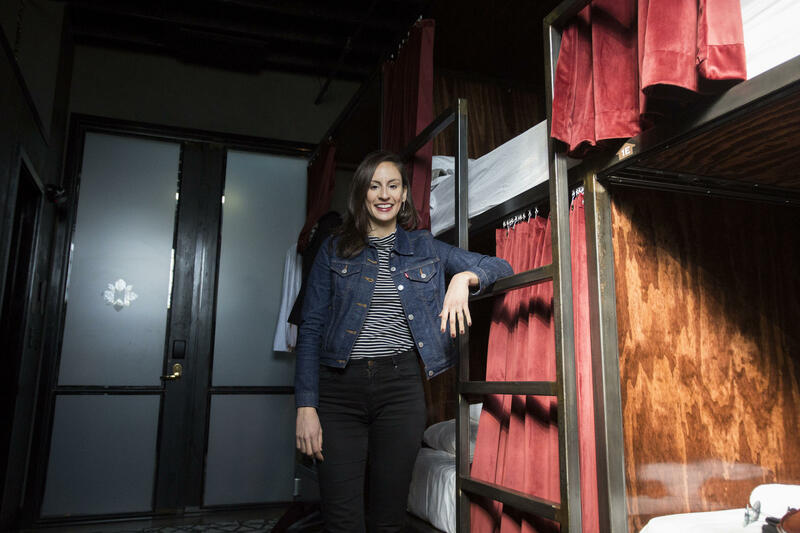 There are six bunk beds to a room, each with one toilet and a shower. The bunks have a curtain, providing a little privacy. What makes ATXelerator different from other candidate schools is that it’s also part tech accelerator. Where normally you’d be pitching a business and vying for investor money, here you’re pitching yourself as a candidate for local office. Ward Tisdale, executive director of The Center for Austin's Future, says "competition brings out the best in people." “Competition brings out the best in people,” says Ward Tisdale, the executive director of the center. Participants take six classes, once a week on various city issues, including land use, finance and social equity. At the end of those weeks, each person will pitch to a panel. “The competition is really meant to have people up their game and test them,” he says. While it’s not certain that this year's winner will get campaign funding from the nonprofit, it's a possibility down the road. Amos Schwartzfarb is the managing director of Techstars in Austin, one of the first startup accelerators, along with Y Combinator in Cambridge, Mass. 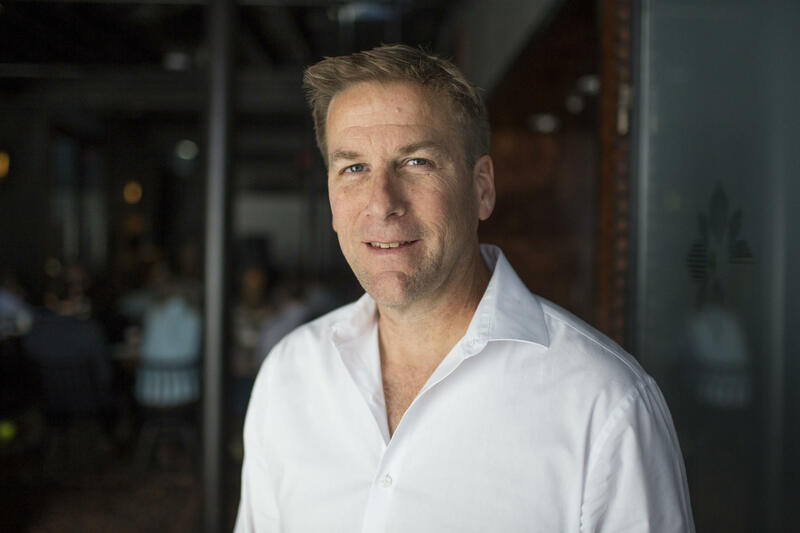 While tech accelerators have cropped up in just the past decade, Schwartzfarb says the idea – a period of time spent intensively studying something and then competing to win a title – is nothing new. Schwartzfarb says he’s never heard of a tech-accelerator model being applied to local politics. Then there's the three-hour electric bike tour around the city. The ATXelerator candidates take an electric bike ride by the new Austin Central Library and the Seaholm district. 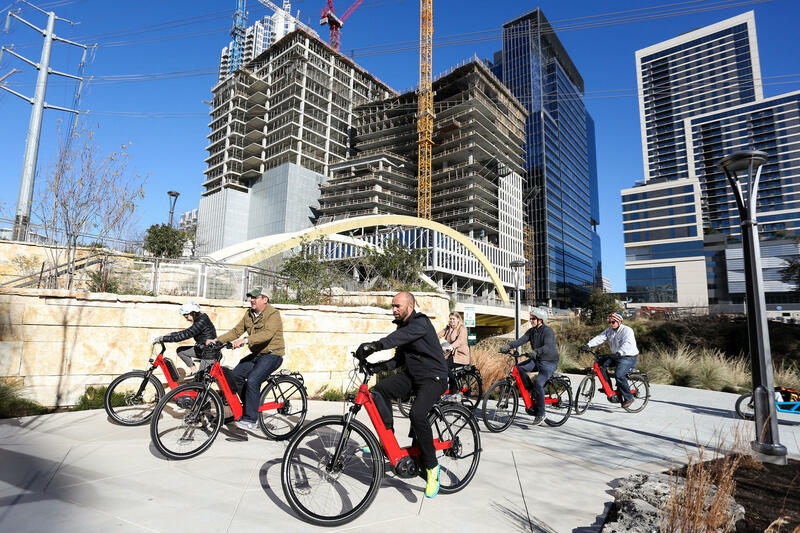 The group rides to the new Austin Central Library and through the Seaholm district, where a power plant has been replaced by high-rise apartments, restaurants and a Trader Joe’s. They also ride by Plaza Saltillo, a more than 10-acre lot on which 800 apartments – including low-income housing – retail and office space is being built. Tisdale says the tour is meant to showcase the way Austin should be building as it grows. “Mixed use is definitely the best way to develop. 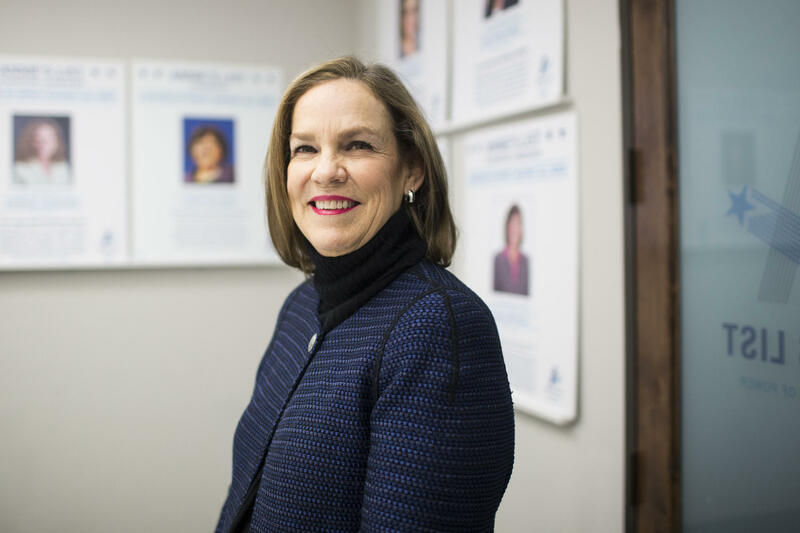 It’s the way we used to develop decades ago,” says Tisdale, who worked in global affairs for a local tech company and served as president of the Real Estate Council of Austin for three years. “What’s key to Austin is not greenfield development; it’s how we reuse the assets that we have," he says. "And that’s going to be critical in the years to come as more people move here, and we need to find a creative and efficient way to house them." But this type of development makes some longtime Austin residents anxious, as mixed-use buildings have replaced businesses and homes in historically working-class East Austin. Annie's List Executive Director Patsy Woods Martin says women have a hard time deciding to run for office. The average ATXelerator participant is 35 years old. Their career paths vary – there’s a writer, the owner of a pet-sitting business, a city planner and a community college student. Just getting selected to participate is a competition – the current group of 25 was whittled down from 48 applicants. Annie’s List trains women and contributes to their campaigns for state and local office. Executive Director Patsy Woods Martin says the organization doesn't have an application process – by design. The ATXelerator weekend retreat closed Sunday afternoon after a panel on how to run a campaign, featuring former Austin Mayor Lee Cook and a speech from state Sen. Kirk Watson. Tisdale ends the weekend with some housekeeping. Salinas packs up the things from her bunk, doing a quick scan of the room to make sure she has everything. Then she explains how she might pitch herself as a candidate for local government. But first, she says, she's going home to take a nap.